Not many months after releasing the mid-range DTEK50, BlackBerry is now getting ready to introduce a brand new Android smartphone. Apparently called BlackBerry DTEK60, the new handset should become BlackBerry's third Android-based device, after the Priv and the aforementioned DTEK50. Spotted earlier today in a low-res image, the BlackBerry DTEK60 can now be seen in a series of press photos that show all of its sides. Compared to the DTEK50, the DTEK60 has a more refined design, but the two devices are obviously not that different, as both are manufactured by TCL (which also makes Alcatel phones). The DTEK60 has slightly curved edges (both on the front, and the rear), and is a high-end smartphone. According to a previous report, the device sports a 5.5-inch Quad HD (1440 x 2560 pixels) display, and is powered by a Qualcomm Snapdragon 820 processor. Other features should include 4 GB of RAM, 32 GB of internal memory, a 21 MP rear camera, 8 MP front-facing camera, and a 3000 mAh battery. Interestingly, the DTEK60 seems to be BlackBerry's first smartphone to offer a fingerprint sensor: you can see the sensor on the back, just below the main camera. It's said that the BlackBerry DTEK60 will be released in Canada on October 11 for $699 CAD (about $530 USD). We won't be surprised if the handset is launched in the US at about the same time. Interested? Might be a contender for me, and I like the looks more then the 50 too. I'm loving the addition of the dual curved display. I hope it comes with the Productivity Edge like the PRIV. $530 isn't a bad price for the specs either, but $450 would have been the sweet spot for me. I normally go for BlackBerry handsets with the physical keyboard, but I think I'll add this one to my smartphone stable as well. I'm liking what I see. I agree. For the software combined with the top of the line hardware, it's a pretty sweet deal. Definitely. The only other thing I would like to have seen is a bigger battery, but BlackBerry usually optimizes battery life well on their handsets. I thought at first it was the Idol 4. More of the same, same. From the looks of the images and the current known specs, not very appealing over competition like the OnePlus Three. It appears to offer the following over the OnePlus 3: - Crisper display - Stereo front-facing speakers - Possibly better camera, but that's debatable given how great the OnePlus Three has been performing in comparisons and the priv wasn't very impressing in the camera department. For now, I'm giving it the benefit of the doubt. - More secure software On the contrary, the OnePlus Three offers the following over it: - 50% more RAM - 100% more storage - Well supported by custom ROM developers, making it more future proof - Probably faster charging via Dash Charge - $180 CAD cheaper I don't think it's worth the additional $180. I don't think the OnePlus Three will offer more storage. The DTEK60 will no doubt offer expandable storage up to 2 terabytes like BlackBerry's first 2 Android offerings. DETEK60 will no doubt offer fast charging like the BlackBerry's other 2 Android offerings. 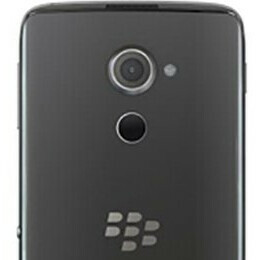 PRIV camera was scored by dxomark as having a camera as good as the iPhone 6/6plus/6s and Xperia Z3+, and it's only gotten better with updates: https://www.dxomark.com/Mobiles/BlackBerry-Priv-Mobile-Review-Mobile-photography-for-the-Privileged $450USD would have been the sweet spot for me, but for its top of the line hardware specs and software, it's worth $530USD. We'll see what else it offers once officially unveiled. Hope it comes with more features, including MicroSD expansion, to make it easy to justify compared to the competition. I'm pretty sure it will have a microSD card slot. There's no reason BlackBerry would deviate from that. They've had them on their phones for years, Android phones included. They're one of the only smartphone OEM's to stick with them. You clearly do not know how fast the OP3 charges. Dash Charging is the only fast charging solution that sticks to its specs and charges as much as it claims to. 64% in 30 mins, 90% in 45, and full in just over an hour. Stays cool while doing it too. Only problem is that its not reverse compatible with Qualcomm QC. The way I see it they should've put a charging circuit in the phone for QQC and let users charge with that, yes even get hot, if they didnt bring their OP Dash Charger. What does knowing how fast the OP3 charge have to do with this? That doesn't negate the fact that the DTEK60 will have Quick Charge 3.0 capabilities. From 7% to 100% charge in about 60 min for my LG G5 with a slightly smaller battery. easy from near 0 to 80% in 30-35 min. only last 20% take a lots longer. Also stay cool and never warm up. as i always say dont base all phone experience on Samsung phone.. not because Samsung heat when charging thats all others do the same. Blackberry software and those speakers are worth the extra over the op3 imo. The OnePlus 3 and the DTEK60 are not really in competition with each other besides the fact that both are being offered to a wide range of consumers. Blackberry is trying to appeal to consumers who value security and productivity, so there would be no need for them to want a device that offers custom ROMs. OnePlus is trying to market the 3 as an undercut to the other premium offerings (i.e. the Kia of smartphones) so it gives specs they believe regular consumers will care about while sacrificing those they don't think matter (full HD screen in place of a QHD one). However, the Alcatel device this Blackberry is based on may be more competitive to the OnePlus since it will more than likely be offered at a cheaper price. Productivity? What do you actually think is doable on BB's version of Android that isn't doable on the OnePlus 3? BlackBerry hub is definitely not one of them as that's merely an app on the Play Store. If they were serious about targeting productivity on a Smartphone, they'll include an active digitizer to make serious use of its big screen like the Note line. Only group they're targeting over OnePlus is those that value security, and they do it really good. Quickcharge 3.0 is ultra fast so i doubt your dash charge is really faster if at all faster. Blackberry have a better track record at supporting client as well compared to one plus. 50% more ram with abysal battery life no thanks. For the rest you are right. "Blackberry have a better track record at supporting client as well compared to one plus." Good point. "50% more ram with abysal battery life no thanks." Well, given the fact that the PRIV ( https://goo.gl/m2ScM5 ) has a bigger battery and smaller display, yet still doesn't perform as good as the OnePlus 3 ( https://goo.gl/zP89QR ), tells how even more abysmal the DTEK60's battery life could be. Given that it's got a smaller battery and bigger display. We'll see how good or bad it performs in the battery department... Eitherway, given what MG pointed out, it takes away the storage and charging advantage of the OnePlus, so, it's worth it overall. Nice phone. Hopefully sells more than the DTEK50. I mean way more cuz that thing did poo poo. This looks really good though. Hopefully most people can overlook it's Alcatel. In Europe probably 700-800$... So no thanks. Source link says 471 Euros. It's blackberry. They still think they're in 2009. The price of the DTEK50 definitely disagrees with you. You're on a roll with the attacking.